About – AlfredHouse Assisted Living, Inc.
There’s no place like home, this old adage is true in every stage of life, but perhaps even more so as we age – and when staying home is no longer an option, AlfredHouse offers a warm home away from home, where each resident is cared for with the utmost personal attention. 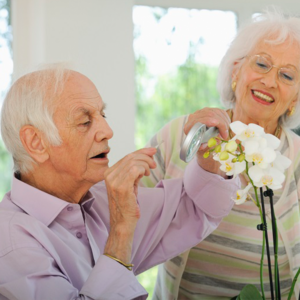 AlfredHouse has been serving the DC metro area since 1992, adhering to our deeply held values of love and respect for elders. Our vision of care is rooted in the childhood memories of our grandparents and the lifelong family bonds forged with them. It is on these values with which we have built AlfredHouse. 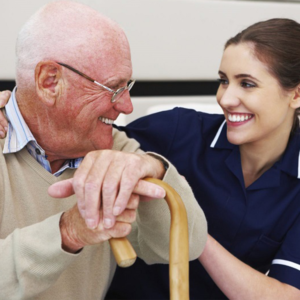 At AlfredHouse, we believe that the foundation of great care rests on generous numbers of capable, committed and well-trained direct-care staffing. Abundant staffing with experienced caregivers allows us to offer the safety, service, care and consideration your family expects and deserves. Our team of professionals is ready to provide coordinated care designed to promote strength and well-being. Contact us today to see why AlfredHouse communities have consistently ranked among the top assisted living and elderly care providers in the Maryland, Virginia and DC areas for over 25 years.